With Christmas coming soon, you’re bound to need some little extras. I made this one expirementing. I tried to give it that classic traditional look. Hope you can use it! In case you don’t get the other comment at 4shared. Thank you for sharing this gift. Merry Christmas from Corrine in WA! 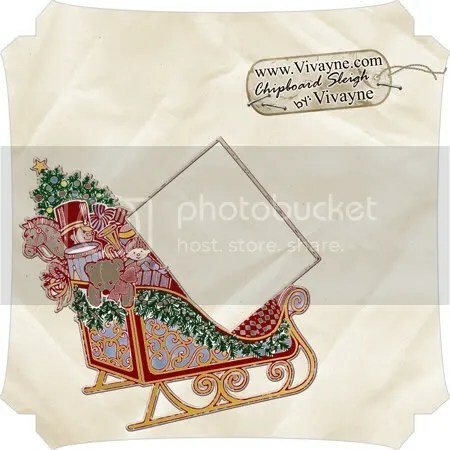 Cute idea to put the photo in the sleigh! Very pretty sleigh! Merry Christmas and tyfs. Thanks for sharing your talent. Happy holidays.